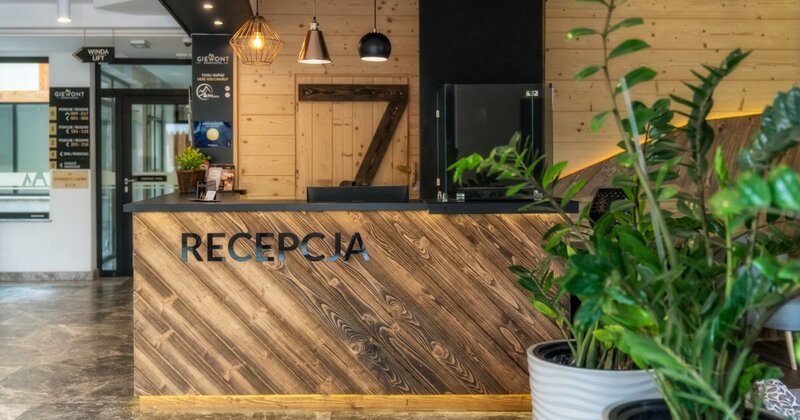 A 4-person or six-person two-bedroom apartment in the very center of Zakopane, 50m from Krupówki. The apartment consists of a room with a kitchenette, two bedrooms, a bathroom and a terrace. The large living room offers a fully equipped kitchenette. Table and chairs, cutlery, dishes, wine glasses, mugs, glasses, pots, fridge, cooking utensils, electric kettle, dishwasher, fridge induction hob, microwave will let you prepare your own meals. A washing machine and a fold-out clothes dryer is located behind the sliding door. Iron and ironing board available at the reception. The living room offers a comfortable corner sofa, coffee table and flat-screen TV. Two bedrooms have been equipped with double beds, bedside tables, wardrobe and flat-screen TV sets. The bathroom offers a shower, hair dryer, toilet and washbasin. The equipment also includes a set of towels and toiletries. The terrace with the size of 12m2, with access from both the bedroom and the living room, has been equipped with a set of garden furniture.